Clint Jones graduated from World Wide College of Auctioneering and has been in the auction business for 54 years. 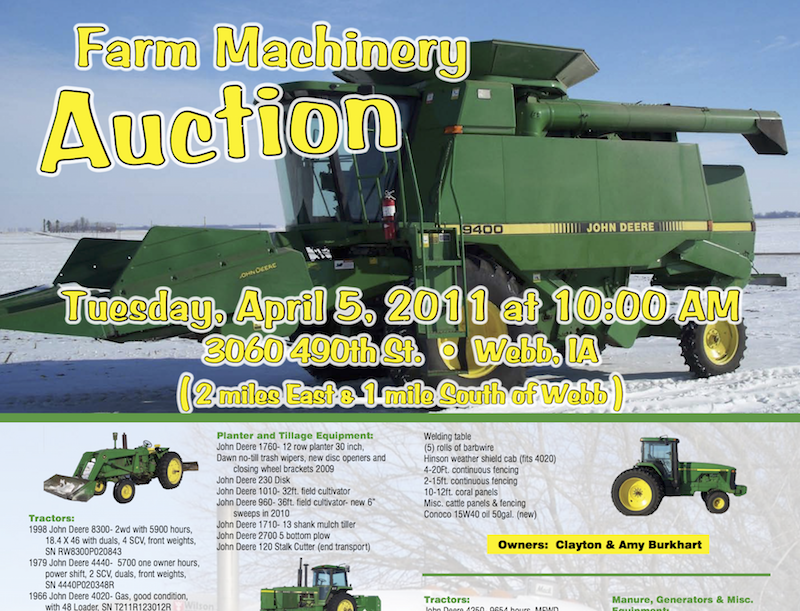 Clint has conducted several types of auctions over his tenure but is most well respected for his knowledge on farm land, farm equipment, antiques and business liquidations. Clint is a well respected businessman in northwest Iowa and is ready to go to work for you today on all your auction needs. Ben Hollesen graduated from World Wide College of Auctioneering in November of 2007 and has not looked back. Ben’s aspirations to bring new marketing ideas and technology to the auction business will be of great benefit to you on auction day. 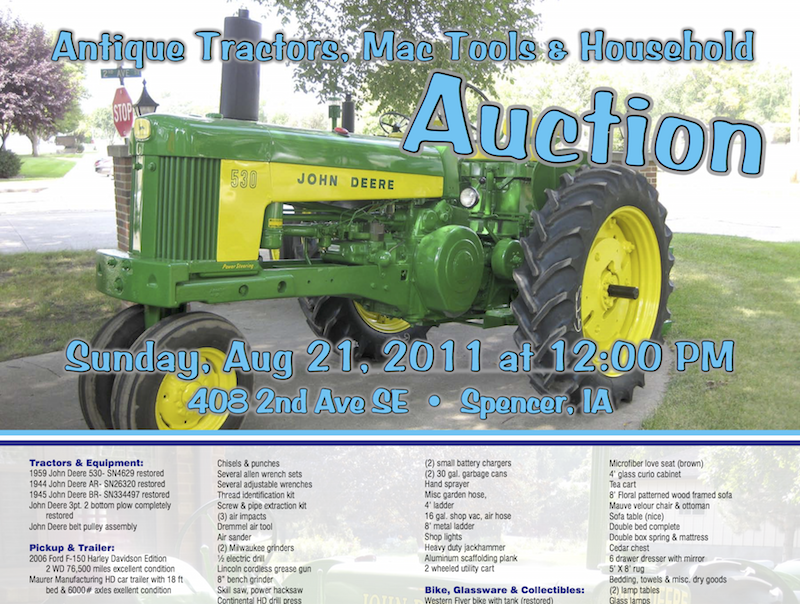 His true passion for people and sales compliments his auctioneering abilities. 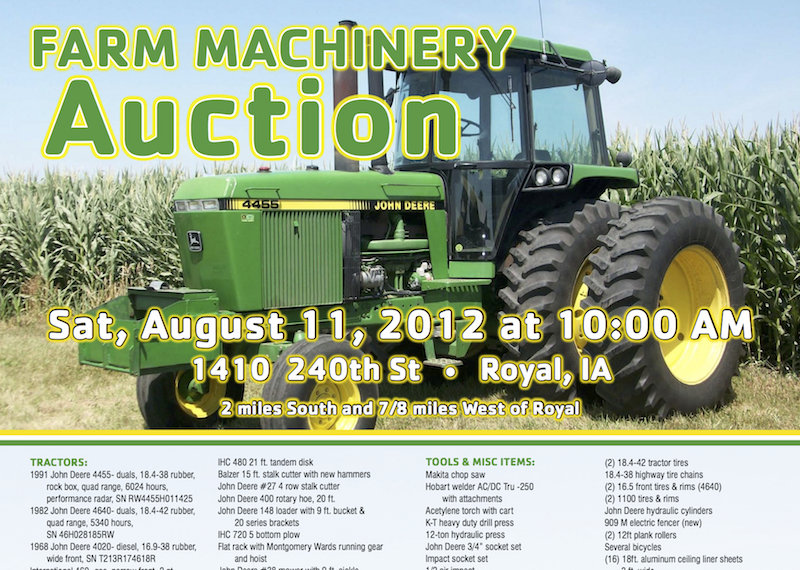 60+ years of combined auction experience specializing in farm land, farm equipment & business liquidations. Our knowledge of the auction method of marketing allows us to quickly and effectively conduct your auction. Our strong relationship with local farmers, bankers and investors gives us the credibility to maximize your sale. Clint Jones and Ben Hollesen would like to talk to you about conducting your next auction. 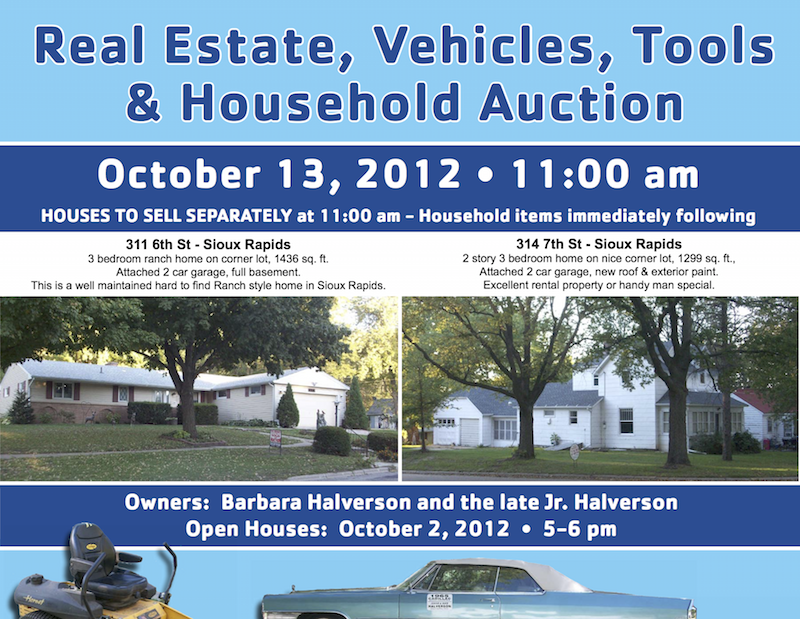 We realize that the thought of having an auction and all the decisions that go along with that can seem overwhelming. Here is where 60+ years of combined auctioneer experience can benefit you in the auction method of marketing. We are large enough to handle your auction, yet small enough to know all the details that your auction needs from start to finish. We pride ourselves with working directly with our customer and good old fashion one on one service. 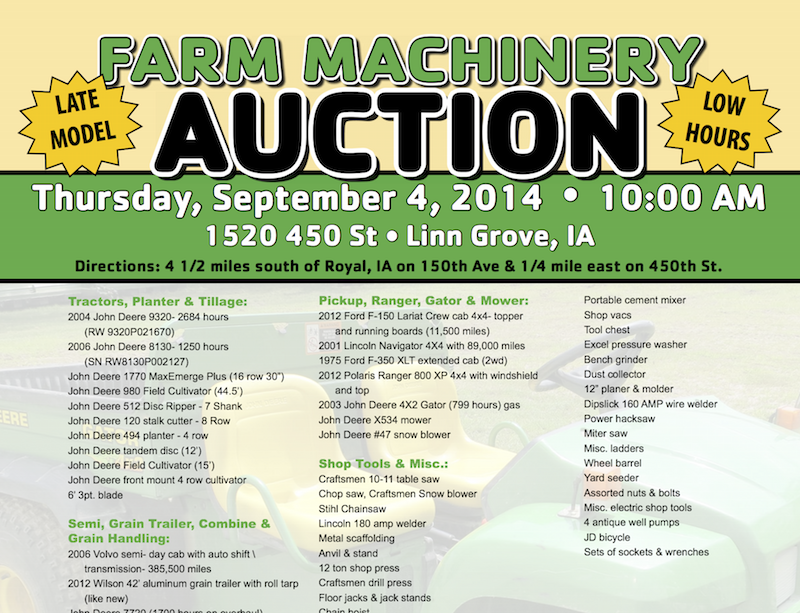 We are a full service auction company specializing in farm land, farm equipment & business liquidations. 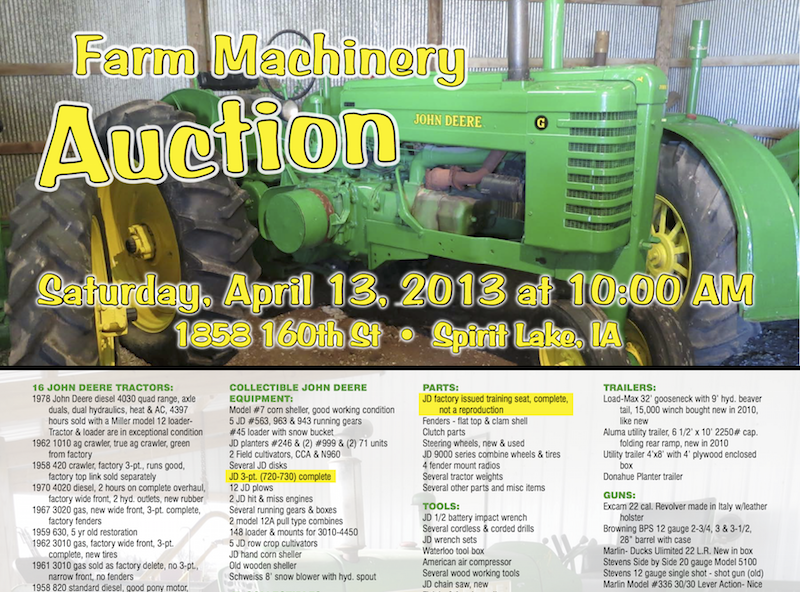 Take the first step and call Ben or Clint to get your auction off to a great start. 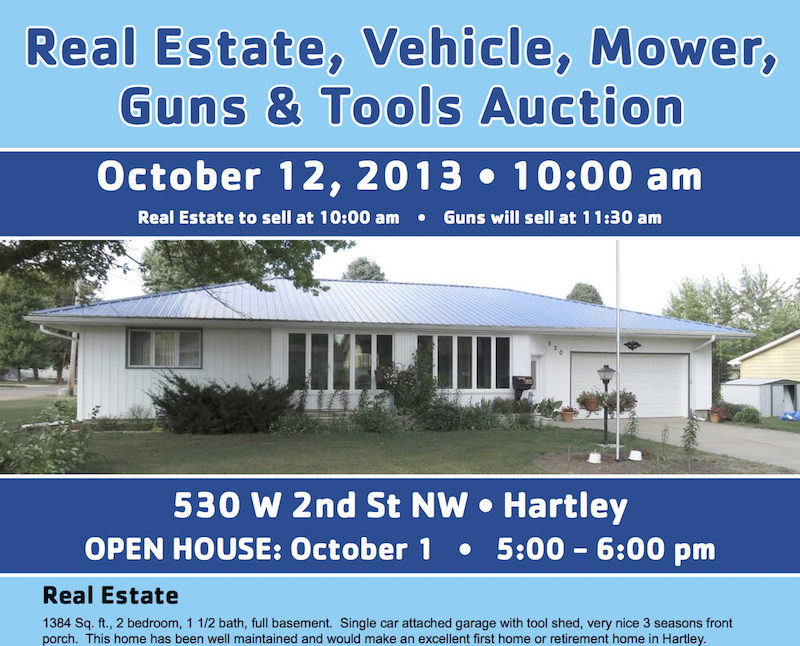 Your auction will be marketed across many different online platforms to ensure high traffic volumes. 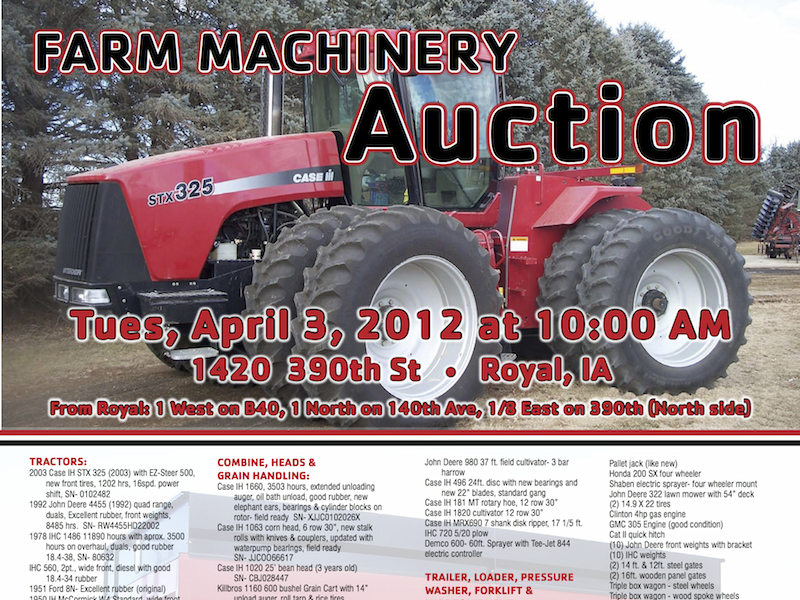 We advertise your auction with the appropriate media to ensure that advertising dollars are maximized. We can help with the appraisals and selecting what type of auction will best serve your needs. 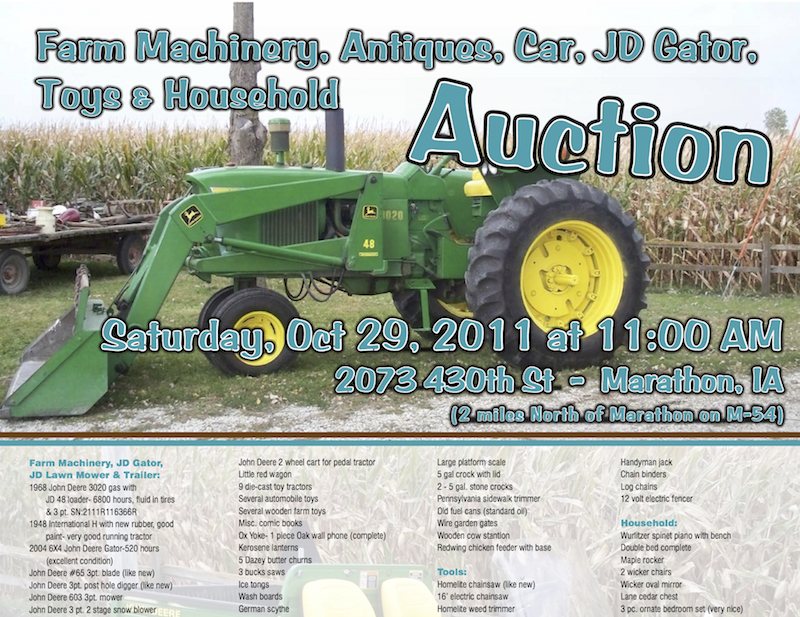 We have an experienced team that will pickup your auction items and deliver them to the auction location. 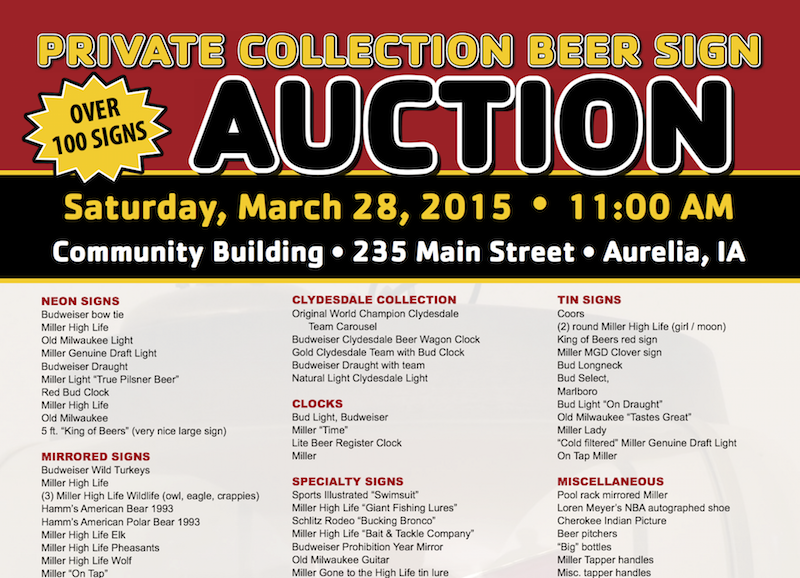 In most cases, the proceeds from your auction are available within 7-10 banking days.